With the war entering its second year, many events of turmoil and anguish occurred in our state. 1861 found the rout of the elected government of Claiborne Jackson and the introduction of provisional Governor Hamilton Gamble. The remains of the Missouri General Assembly met at Neosho to declare secession and become the “twelfth Confederate state.” When the Confederate States decided to change the style and amount of stars represented on their flags, Missouri would be included in the crossed image of thirteen stars. The Confederate States of America Congress admitted Missouri to membership on November 28, 1861 (http://home.usmo.com/~momollus/MOFACTS.HTM). So, by the end of 1861, Missouri was acknowledged by both “nations” as being one of their states. But the vote at Neosho (many doubt that there was a quorum present) was never taken seriously by the United States or the provisional government located at Jefferson City. Guerilla warfare ran rampant throughout the state. Some of these vigilante style fighters had their start during the “Bleeding Kansas” period. 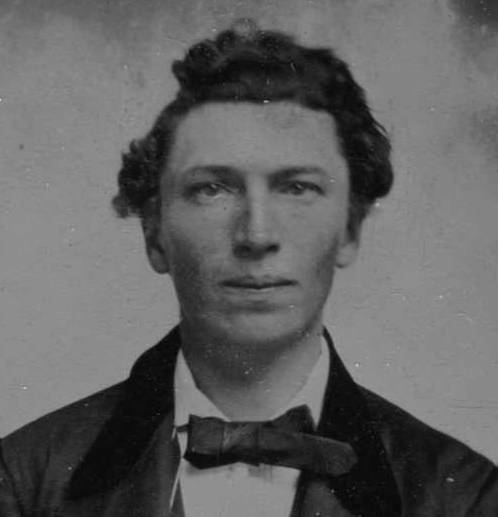 Names like Bloody Bill (William) Anderson, William Clarke Quantrill were synonymous with Missouri during the Civil War. Referred to as “Bushwhackers” because of “hiding in the bush,” or heavy foliage in the area, these renegades traveled the countryside harassing pro-Union residents. Quantrill and Anderson would attack Lawrence, Kansas in 1863 as retaliation of the deaths of wives of the bushwhackers. Randolph County, Missouri. Site of the Battle of Roan's Tan-Yard (aka Battle of Silver Creek). How do you locate your enemy when you know they are near but you can’t seem to track them down? That was somewhat the dilemma of Major William M.G. Torrence of the United States Army during the Campaign of the Operations for Northeast Missouri in the early part of the war. Rumors and sightings had been going on since the start of the year (basically a week) that Confederates had set up a camp in the area of Howard County. Torrence had the directive to maintain Northeast Missouri for the Union and that was his goal. The only problem was just where were these Confederates? Torrence found his answer on January 7, 1862. Information came that Colonel John A. Poindexter and his men were camped in the area of Silver Creek in Randolph County. Poindexter was recruiting local citizens to join the cause of the Confederacy and the Missouri State Guard. Torrence would lead 450 men from four units into the region; the 4th Ohio Cavalry, the 1st Iowa Cavalry, 1st Missouri Cavalry, and the 2nd Missouri Cavalry (commonly known as “Merrill’s Horse”). Known as “Merrill’s Horse” because of their commander, Capt. Lewis Merrill, and the insignia on their uniforms, the 2nd was active in fighting throughout North Missouri and would even see battle in Arkansas, Tennessee, Georgia, and Alabama. They were a tough bunch with tough expectations for a volunteer regiment. Merrill held them to a more “regular’ Army order and protocol. Their primary use was to engage the guerrilla and irregular Confederate cavalry groups in the area. They would roust the bushwackers out of the bush. If you were to get in a car today and make your way down Missouri Highway 3, you would travel about an hour and half from Kirksville to what once was the community of Roanoke, Missouri. This is right on the border of Randolph and Howard Counties. About five miles east of Roanoke is Yates, Missouri and Silver Creek. It was here that Poindexter and his force of 800 men were located. Torrence and his troops trudged their way to this location amid heavy fog that made spotting the enemy difficult. It was late afternoon when the Federal troops attacked the Confederate force. Forty minutes after the fighting began, there were close to 150 of Poindexter’s men killed, wounded, or captured. There were only six of Torrence’s men killed and nineteen wounded. Because of the poor weather and thick underbrush, the Union men were unable to stop the retreat of the rest of Poindexter’s force, but they did destroy the camp to prevent it being used in the future. The battle of Roan’s Tan-Yard would result in preventing the Confederates from using the Randolph County base for recruiting or raiding any longer. The old saying goes “money is the root of all evil.” However you look at the phrase, perhaps money can be connected to roots, or at least the roots of one tree. There was little going on in the community of Sikeston, Missouri at the start of the Civil War. It was a small village with little business or resource, other than the railroad and its location on the King’s Highway, what would become U.S. Highway 61. These two significant factors gave Sikeston strategic importance during the Civil War. Both Union and Confederate forces would vie to occupy this community for use of its transportation advantages. Sikeston would be instrumental to events that would occur at both Commerce and New Madrid, Missouri. For some time, Confederate guerrilla leader, General Jeff Thompson, referred to as “Missouri’s Swamp Fox” because of his guerrilla tactics, and Brigadier General Gideon J. Pillow had worked out of the area encompassing Sikeston. Pillow had plans to use Kingshighway as a route to join Price and McCulloch to attack St. Louis. February 1862 found Union Brigadier General John Pope moving his troops into Commerce and then by rail to Sikeston with New Madrid as their destination. They would find bridges destroyed and other obstructions set by Confederates in their path. Pope’s front column would be attacked by a small group of Confederates led by Thompson as they reached the southern boundary of Sikeston. On March 1st, the Union troops would drive the Confederates out of Sikeston and gain control of this important transportation hub. This would help during the Battle for New Madrid and Island Number Ten. At one point, Thompson robbed a bank in Charleston, MO to pay his men and buy arms and supplies. Legend has it he hid part of the money under one of the giant oak trees that once stood on the corner of N. Kingshighway and Tanner Street. During the war both Union and Confederate forces recruited soldiers for their cause under this same tree. ​Ulysses S. Grant had been responsible for the capture of the Confederate locations of Fort Henry and Fort Donelson in Tennessee. It was during the battle at Fort Donelson that Grant gained the nickname “Unconditional Surrender” as he captured Confederate troops under the command of an old friend, Brig. Gen. Simon Bolivar Buckner. (5) Grant was in charge of the Union forces throughout southern Missouri at this time and was instrumental in battles to provide Union possession of the Mississippi River through this area and effectively, the entire war. With Grant’s victories at Fort Henry and Fort Donelson, the Confederates were weakened in their control of the Mississippi. They wanted to maintain a defense on the river and chose the location known as Island Number Ten near the Missouri community of New Madrid. New Madrid held strong sympathies with the Southern cause; the first Missouri unit of any type to enter Confederate service came from New Madrid, Company I, 1st Missouri Infantry. Governor Claiborne Jackson had issued a proclamation declaring Missouri a free republic and dissolving all ties with the Union from New Madrid on August 5, 1861. (1) The terrain and weather were favorable to the Confederate control of the area. Confederate General P.G. T. Beauregard decided that Island Number Ten was the best strategic location to prevent Union movement on the Mississippi. (2) New Madrid was already under the command of Confederate forces and there were two forts existing on the island. 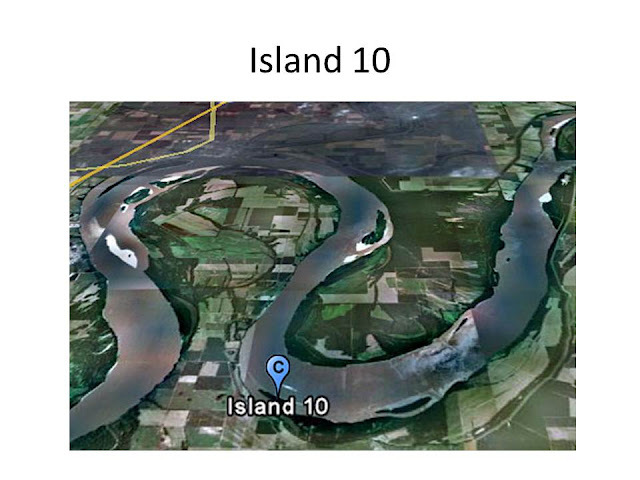 Island Number Ten was named so because it was the tenth island below the mouth of the Ohio River. (3) New Madrid was under the charge of Brigadier General John P. McCown and he maintained both the town and the island. (4) Missouri’s own “Swamp Fox,” Jeff Thompson, was also operating out of New Madrid and was one of Grant’s targets to defeat or at least weaken in his efforts for the area. Union Brig. Gen. John Pope was in command of the Union Army of the Mississippi and left Commerce, Missouri to attack New Madrid on February 28, 1862. The Confederates had built a force of 43 pieces of heavy artillery on the Tennessee side and four batteries of arsenal on Island Number Ten. Twenty-four heavy guns defended New Madrid proper. (3) Pope first took control of the Missouri town of Point Pleasant, south of New Madrid. (6) He began to advance his 18,000 men toward New Madrid (7) but had hopes of Commodore Andrew Foote arriving with gunboats to deal with the island. Foote arrived with ironclad gunboats on March 15th and the naval battle commenced, well somewhat. It appears that Pope and Foote have differences of opinion on how and when to attack the Confederates. Foote felt that running ironclads past Island Number Ten would be “suicide” and was reluctant to make the attack that Pope requested. (4) The shelling received at Fort Donelson on the boats had led to Foote’s concerns. He had no desire of seeing any of his seven ironclads become disabled and drift down the Mississippi into the hands of the Confederates. 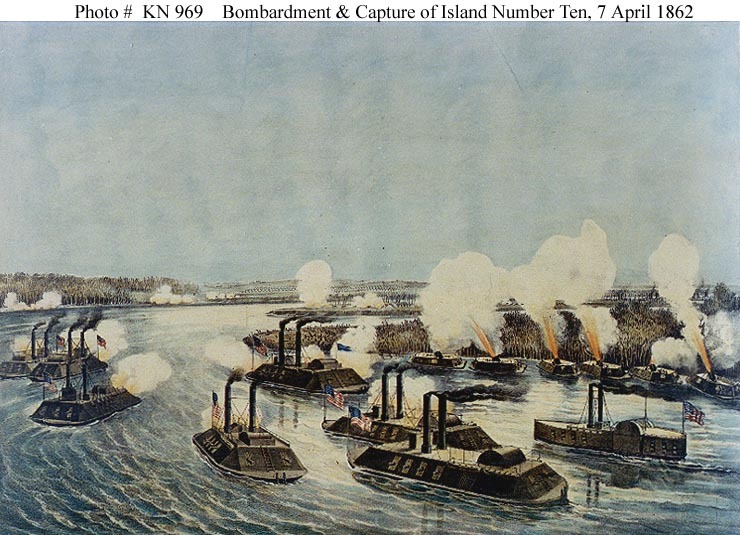 (3) So two weeks were spent by Foote bombarding the Confederate forces on shore. Pope kept practically begging Foote to run the blockade, but it wouldn’t happen until after Pope’s men had built a canal that would bypass the Confederate guns. Pope sent a regiment to begin digging the canal east of the town in area that was susceptible to flooding. It took almost three weeks for these men to complete the fifty feet wide and twelve mile long canal. (3) It wasn’t very deep but these types of vessels didn’t need much depth to travel. Foote was still speculative to the idea, but the captain of one of the ships, Commodore Henry Walke argued that with the proper preparation his ship could run past the guns on a suitably dark night. (9) Foote gave in and let Walke take his ship, the USS Carondelet down the canal on April 4th. Three days later, the USS Pittsburgh became the second ship to traverse the canal. (9) Pope was now able to transport troops and arsenal to attack Island Number Ten. The Union force attacked the island and prevented the escape of the Confederate troops located there. On the morning of April 8th, Brig. Gen. William W. Mackall surrendered the island to Foote. Close to 7,000 Confederate soldiers and sailors were taken prisoner by Pope. The victory of the Union forces at New Madrid and Island Number Ten meant the loss of the last remaining Confederate stronghold in Missouri. This victory also opened up river travel for the Union throughout the middle region of the Mississippi. The nearest Confederate grip on the river was fifty miles to the south at Fort Pillow, Tennessee. Fort Pillow would fall to the Union on June 1st and Memphis, Tennessee would fall five days later. Only two Confederate locations were left on the Mississippi; Vicksburg, Mississippi and Port Hudson, Louisiana. The river was effectively under the rule of the Union. 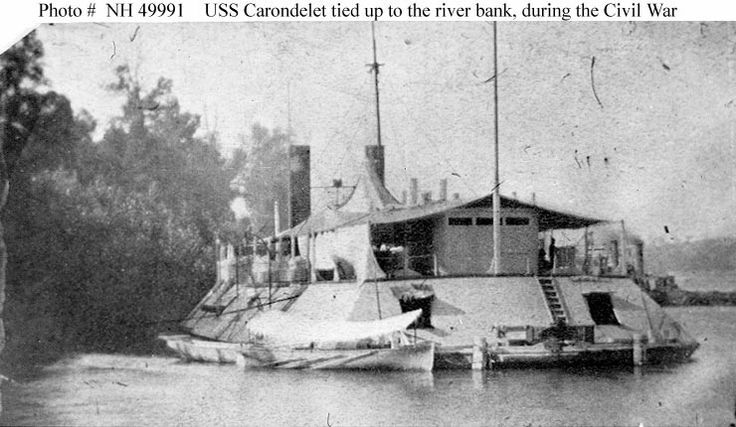 The USS Carondelet was built by St. Louisian James B. Eads. It was instrumental in the fight for New Madrid and Island Number Ten. 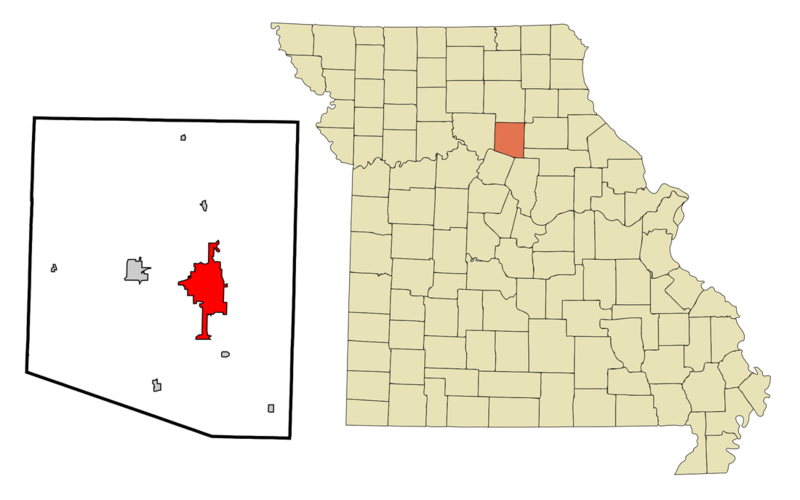 Neosho, Missouri, like many other communities suffered several bouts of turmoil involved with the war. The area around Neosho, the seat of Newton County is part of the state’s lead region and lead was instrumental in the manufacture of ammunition. It is fully understandable why both military forces would want control of this southwest corner of the state. It would change hands from Confederate and Union forces many times during the war and the residents held sympathies with both groups. 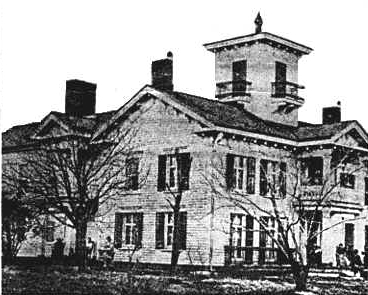 The local Masonic Hall would house the pro-Confederate government of ousted Governor Claiborne Fox Jackson early during the war. 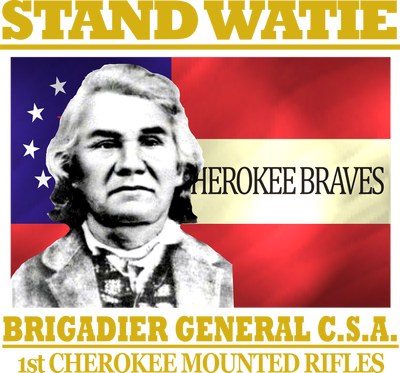 The end of April 1862 found a detachment of 1st Missouri Cavalry under the command of a Major Hubbard withstanding the Confederate troops of Colonel John T. Coffee and Colonel Stand Watie, leader of 200 Cherokee Indians fighting for the South. Both the Union and the Confederates had entire “regiments” of Native Americans fighting alongside of them. It is hard to ascertain which side was the victor, as both claim the victory. What is important to note is that there were Native Americans on both sides fighting in both the April 26th skirmish and the May 31st as well. There would be four additional altercations at the Newton County community during the course of the war. On June 22nd he captured the steamboat USS Little Blue on the Missouri River near Sibley. 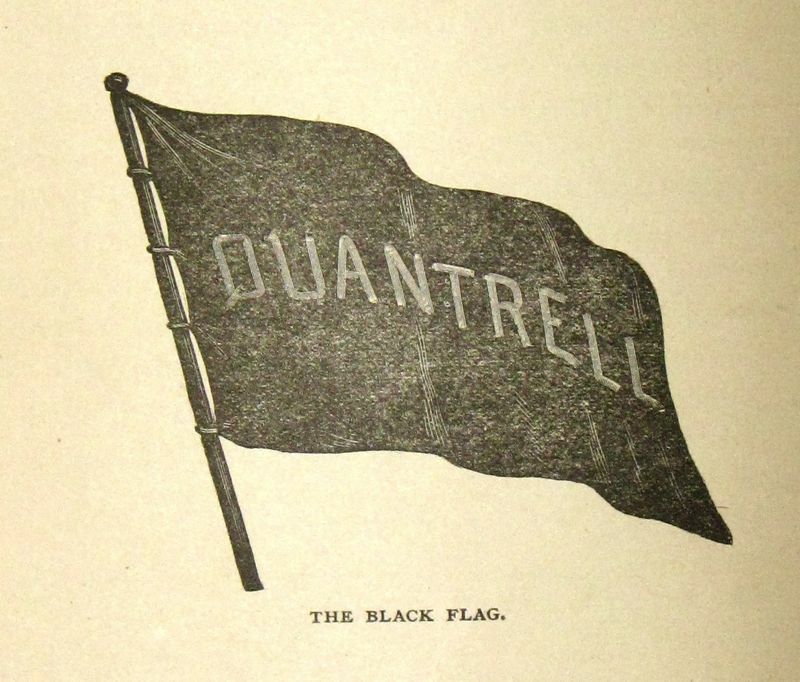 Quantrill and his men would harass the sick and wounded Union soldiers on the boat and commandeer all the military supplies they could carry off of the boat. (2) Quantrill would be well known for his renegade actions in Missouri and Kansas. Quantrill knew that the Federals weren’t done with him and marched his men through a heavy rainstorm the night of July 10th across Big Creek and about five miles west of Pleasant Hill. 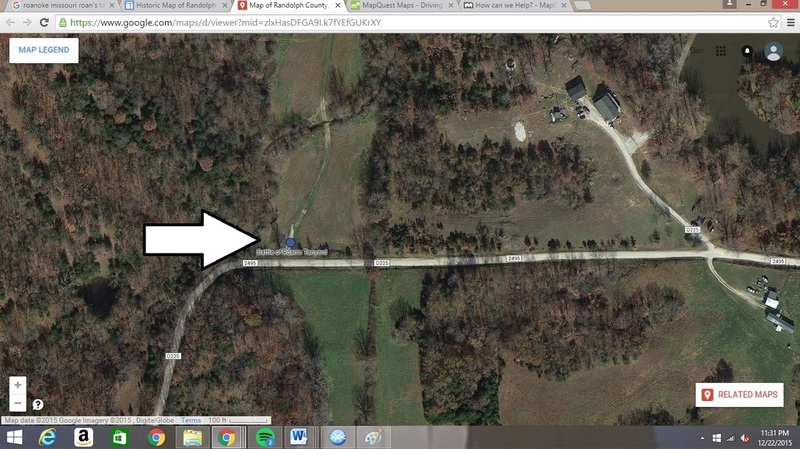 There he stopped at the Searcy residence and set up camp in the open prairie. 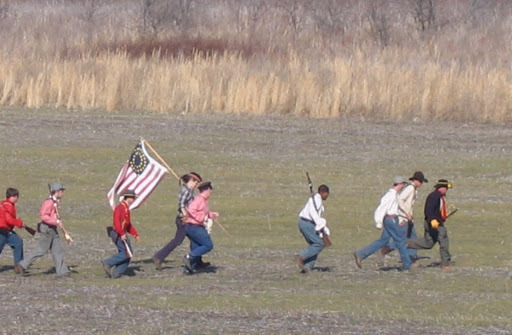 At one point during the march, Quantrill’s men were just a half mile from Federal troops. Gower was now engaging in the Federal march to attack Quantrill; aided by the addition of more men of the First Iowa, Seventh Missouri Cavalry, and the First Missouri Cavalry led by Captain Martin Kehoe. When Gower learned that Quantrill was camped at Searcy’s place the Federal commander decided to rest his troops and mounts and go for attack at first light. Gower led 260 men toward Quantrill on the morning of July 11th. Kehoe’s troops would be first to approach Quantrill’s position. ​Quantrill had plans to ambush Kehoe and had his men move their saddled horses to safety behind the house. Quantrill had two of his men rush out into the front yard acting scared and confused to decoy Kehoe’s men into thinking that the guerrillas weren’t prepared for attack. Quantrill’s men had draped their wet saddle blankets over a rail fence and had hidden behind this cover. Quantrill positioned himself at the front gate, armed and waiting the charge. When Kehoe’s troops were within forty to sixty feet, Quantrill let out a yell “Let ‘em have it, boys!” and up came the guerrillas firing into the surprised Federal line. Seven Union soldiers were killed immediately and another nine were wounded, including Kehoe with a bullet wound to the shoulder. Quantrill opened the gate and easily captured the riderless Federal horses as they continued charging forward. Kehoe and his men retreated quickly to the cover of timber with a group of Quantrill’s raiders, including Cole Younger, following them. With the Federal forces regrouped at a distance, the guerrillas learned that they couldn’t match the range of the Federal musketry with their pistols and Quantrill decided to move back to the ravine behind Searcy’s house where their horses gathered. It was from this location that Quantrill regrouped and took advantage of the ravine’s terrain. Heavy underbrush and tangled bushes aided him to conceal and protect his men. By now Gower had arrived and took over the attack from Kehoe. 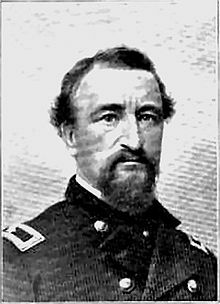 ​Captain William A. Martin of the First Missouri Militia led a small squad toward the ravine. Visibility was extremely limited and when Martin was close enough to attack the guerrillas rose up and mowed the Federals down. Gower would send force after force toward the ravine. As the guerrillas ran low on ammunition both sides took to using their sabers, bowie knives, rocks and clubs. The back and forth of the battle raged on for two hours. One Federal soldier lay hidden in heavy brush and would shoot point blank at Quantrill. The shot was meant for Quantrill’s chest, but struck him in the leg. The guerrilla leader would stumble but continue to fight as if he never was hit. The soldier that fired the shot was killed by William H. Gregg, one of Quantrill’s closest officers. Not only was the depletion of ammunition a problem for the guerrillas, so was horses. Many of their mounts were killed and ran away and Quantrill’s force had problems with what to do if escape was necessary. When the battle was drawing to an end, Quantrill gave the order “Cut through! And it’s every man for himself and the devil take the hindmost.” The rebels ran straight on into the Federal force and made their escape. This tactic confused the Federals and gave Quantrill the advantage. The lack of horses caused many of Quantrill’s men, including Frank James, to make their escape on foot. 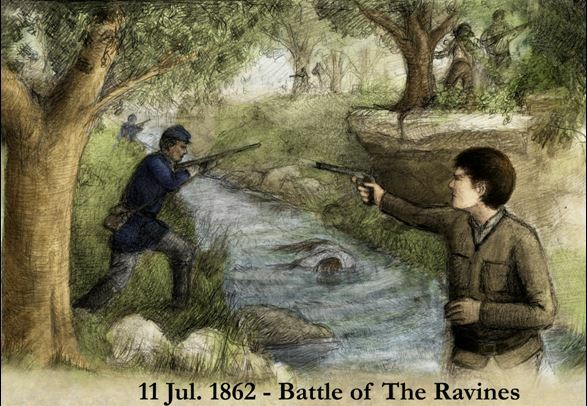 ​While many think of Quantrill and the guerrilla action in the state as predominantly hit and run, this battle gives evidence to Quantrill engaging in more traditional battle action. He would go on to continue wreaking havoc around the state, as his men engaged in guerrilla tactics throughout the region for several days following the Battle of the Ravines. Petersen, Paul R. Quantrill of Missouri: The Making of a Guerrilla Warrior: the Man, the Myth, the Soldier. (2003). Cumberland House Publishing. Union Col. (later General) John McNeil pursued Porter, who planned an ambush with perhaps 125 men according to participant Mudd  (though Federal estimates of Porter's strength ran from 400 to 600 men). The battle is called “Vassar Hill” in the History of Scotland County; Porter himself called it “Oak Ridge,” and Federal forces called it “Pierce’s Mill,” after a location 1.5 miles northwest of the battlefield. A detachment of three companies (C, H, I), about 300 men of Merrill’s Horse, under Major John Y. Clopper, was dispatched by McNeil from Newark against Porter, and attacked him at 2 p.m. on Friday, July 18, on the south fork of the Middle Fabius River, ten miles southwest of Memphis. Porter's men were concealed in brush and stayed low when the Federals stopped to fire prior to each charge. Porter's men held their fire until the range was very short, increasing the lethality of the volley. Clopper was in the Federal front, and out of 21 men of his advance guard, all but one were killed and wounded. On page 86 of "With Porter in North Missouri", Mudd describes "One of our boys, down the line out of my sight, losing his head fired too soon and when the Federal was about to ride him down, had an empty gun in his hand. This he clubbed and striking his assailant a powerful blow on the neck, killed him." In Joseph Budd's pension records, his death is described as occurring due to "a stroke of a weapon breaking his neck". Union casualties were about 24 killed and mortally wounded (10 from Merrill's Horse and 14 from the 11th MSM Cavalry), and perhaps 59 wounded (24 from Merrill's Horse, and 35 from the 11th MSM Cavalry.) Porter's loss was as little as three killed and five wounded according to Mudd, or six killed, three mortally wounded, and 10 wounded left on the field according to the Shelby County History. The Union dead were originally buried on the Jacob Maggard farm, which served as a temporary hospital. After the fight, Porter moved westward a few miles, then south through Paulville, in the eastern part of Adair County; thence south-east into Knox County, passing through Novelty, four miles east of Locust Hill, at noon on Saturday, July 19, having fought a battle and made a march of sixty-five miles in less than twenty-four hours. Col. Joseph C. Porter led a Confederate force into Newark. 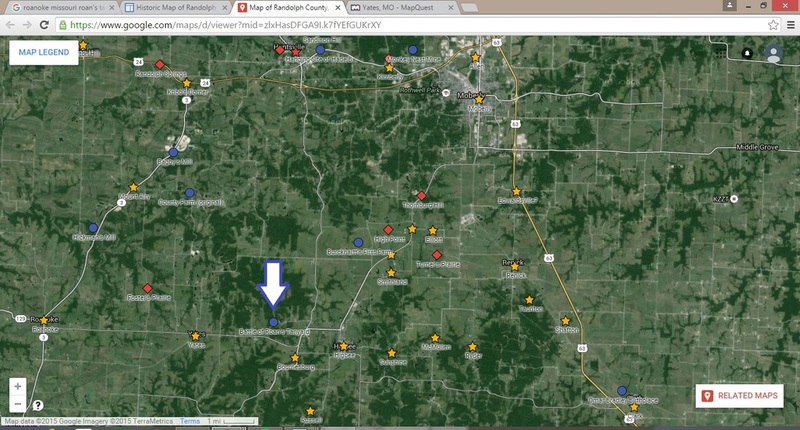 The town had an outpost that was garrisoned by 70 Union soldiers of the 2nd Missouri Cavalry. When the Confederates entered the town, the Federals, under the command of Capt. 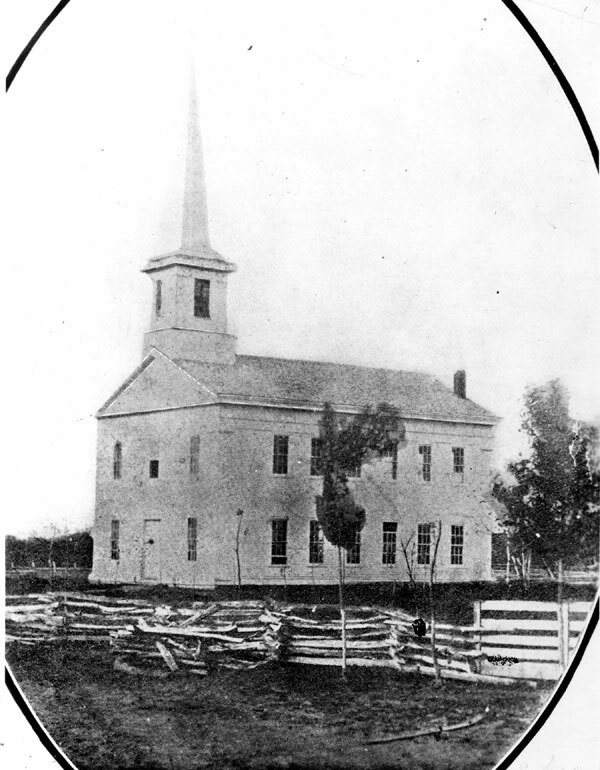 W.W. Lair, fortified themselves in the Presbyterian Church and other brick buildings. After a brisk firefight, the Confederates set the buildings on fire. The Federals quickly surrendered and were paroled later that day. The Federals suffered four deaths and seven wounded. The confederates suffered eight deaths and thirteen wounded. Porter would continue to recruit Confederate volunteers around the northeast part of the state and would engage Union troops at Kirksville very shortly. A severe fight occurred at Newark, Knox county, Friday evening last.—About 1,000 guerrillas under Porter approached the town an hour before sunset, and were met by parts of two companies of State militia under Capt. Lain, numbering 75 men. The rebels charged on our troops and were repulsed, when they dismounted and finally drove Capt. Lain into town, where a severe struggle took place resulting in the capitulation of our forces, who were immediately paroled. Our loss was four killed and four wounded. The rebels acknowledged seventy-three killed and a large number wounded. Porter’s gang carried off the arms and camp equipage of our troops. On Sunday the State forces of Col. Guitar and Majors Clapper and Caldwell passed through Newark in pursuit of Porter. On Saturday a band of one hundred and fifty guerrillas took possession of Alexandria, Mo., seized all the arms and ammunition they could find, and did considerable other plundering and left. About three hundred were down on Sunday from Keokuk, and arrested some thirty rebel sympathizers and took them to Keokuk. Adair County Missouri was a mixed group of people when it came to the Civil War. There were some that sided with the Confederates while others sided with the Union. The county was surrounded by pro-Confederate counties on all sides except for the county of Putnam. Colonel Joseph Porter had been busy recruiting Confederate volunteers in north Missouri and Adair County was not exempt. Tice Cain, a local farmer, had been quite successful at recruiting Confederates as well. The local newspaper was edited by a Confederate sympathizer as well, E.M.C. Morelock. The Third Iowa Regiment came to Kirksville and seized the newspaper, the Kirksville Weekly Democrat on August 23, 1861 and dared Morelock to return to town. He didn’t and the town would be without a newspaper until 1864. Col. John McNeil led the Union forces while Col. Joseph C. Porter led the Missouri Brigade. McNeil had about 1,000 men, including a contingency of Merrill’s Horse, and had pursued Porter and his 2,500 men for over a week. 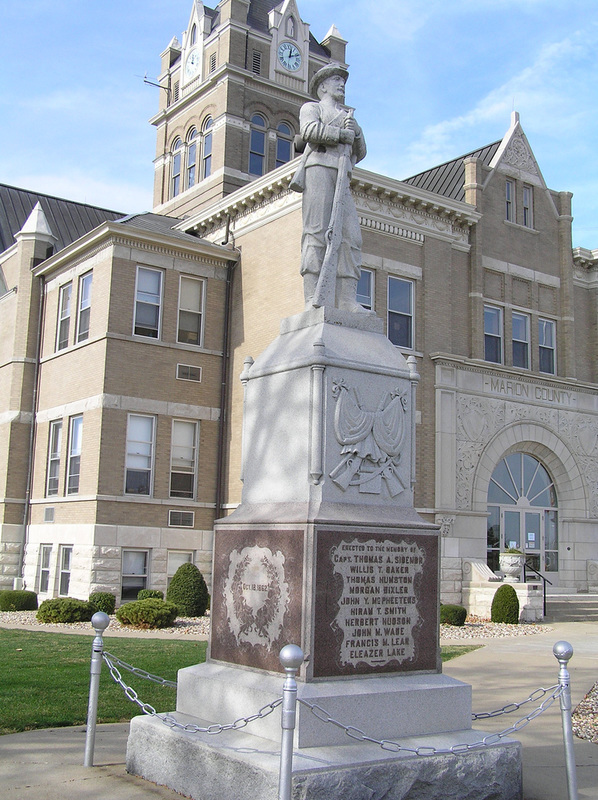 When Porter received word from Cain about the recruits he had gathered, Porter made his way toward the Adair County seat. Porter’s men had hidden themselves in homes and stores and in nearby fields. McNeil based his forces in what is now Memorial Park. The area was known as the Cumberland Academy, an academic site maintained by the Presbyterian Church. A recent archaeological excursion at the park uncovered only a small amount of remains from the Union presence at the location. ​The courthouse square would be the focal point of the battle, as some rebels were concealed within the government building. McNeil would rout the Confederates from the town to the Chariton River. Fifteen of the captured Confederates had already experienced capture in other battles and were breaking the conditions of their paroles. McNeil would have them executed by firing squad. McNeil had an African-American with him, named Jim, who accordingly killed the first man in the fight. A mass grave was made at Forest-Llewelyn Cemetery for all of the Confederate dead. One of Kirksville’s citizens, John L. Porter, asked permission to treat the Confederate wounded and McNeil granted a surgeon and medical instruments. It appeared that Colonel Porter had already gathered all medical equipment up for his own medical staff. A makeshift hospital was set up in the Ivie Hotel, on the north side of the square, to treat the Confederate wounded. Some locals claim that these “sawbone” doctors would throw amputated limbs out of the second story windows to be retrieved from the alley and subsequently destroyed or buried. Union injured were taken to the Cumberland Academy and to the home of prominent Adair Countian, William H. Parcells. This battle would mark an end to Confederate recruitment in the northern part of the state. It would also begin the tainting of McNeil’s reputation after he ordered the court martial and execution of some fifteen Confederates, including Lt. Col. Frisby McCullough. Some present-day authors consider this the first and largest mass execution of prisoners of war during the Civil War. Other executions would occur during the war in Huntsville, Macon, and Mexico, Missouri. These executions in Kirksville would pave the way for McNeil gaining the nickname the “Butcher of Palmyra,” as he ordered the execution of ten Confederate prisoners. 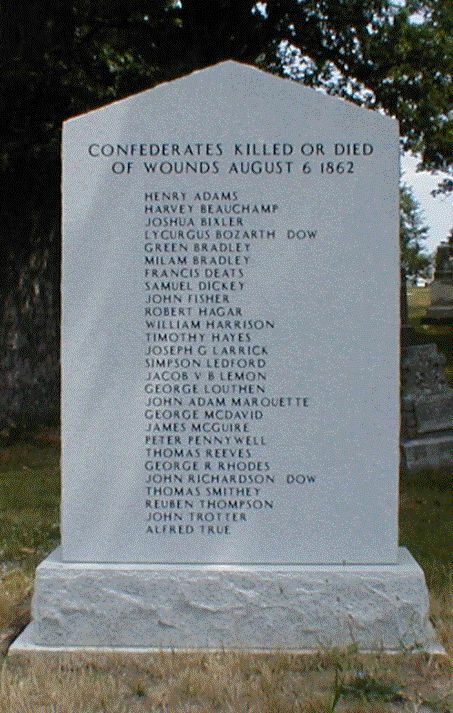 Some of these Confederates had been captured at the Battle of Kirksville. Following the Battle of Kirksville, Porter reduced his 2,000 number of men to around 400 and maintained a headquarters in Lewis County. He decided to raid Palmyra in September to free Confederate prisoners there. Porter had first entered Palmyra and captured Andrew Allsman, a local carpenter and suspected informant to the Union army. For some time Porter kept Allsman as a prisoner until he felt that the older man was slowing down the Confederate troops. Porter decided to release Allsman but the older man feared for his life from pro-Confederate neighbors. Porter assigned six men to guard Allsman as he was taken to the nearest home of a Union sympathizer. Another group of Confederate soliders would intercept the group and allude to taking Allsman on to the Union supporters. They instead took Allsman out into the woods and killed him. McNeil placed an ultimatum in the local Palmyra newspaper for Porter to hand the man over of Confederate prisoners would be executed. Unfortunate for Porter, and the Confederate prisoners, Allsman’s body lay buried somewhere under brush. On October 18, 1862, McNeil had executed the ten Confederate prisoners at the fairgrounds. Some of the men executed had been captured in the Battle of Kirksville. McNeil would get the nickname the “Butcher of Palmyra” for the event. He would be criticized across the nation, from the New York Times to Lincoln’s Cabinet. 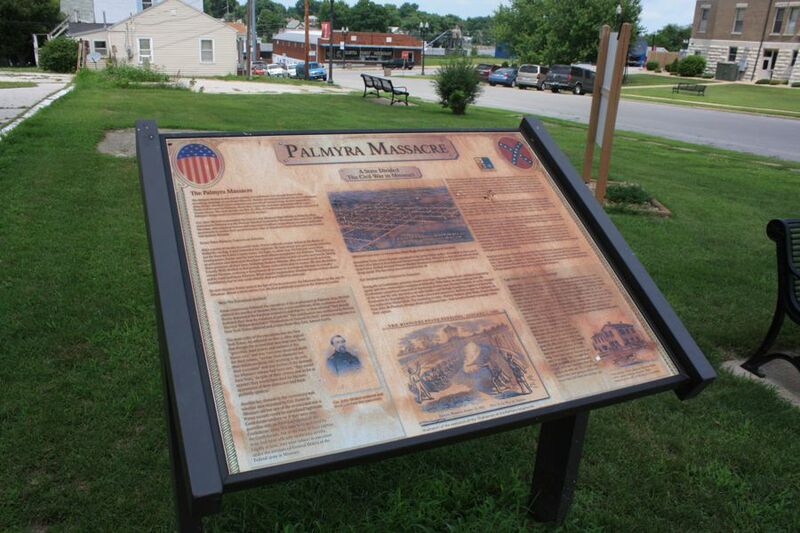 Today a monument stands in Palmyra to honor the Confederate soldiers killed on that date.